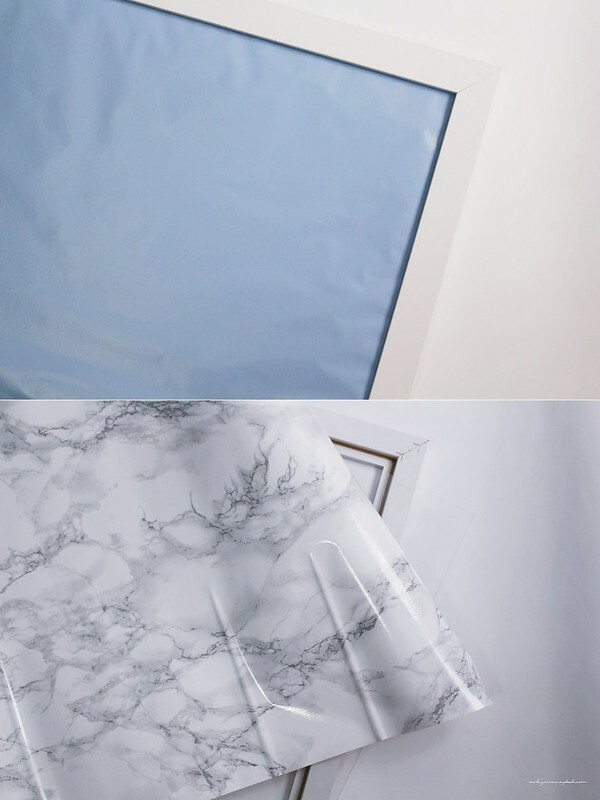 I recently bought some marble contact paper and in the last post, I decided to cover my hard drive in this paper. Today, I decided to replace the blue paper on my magnetic board. 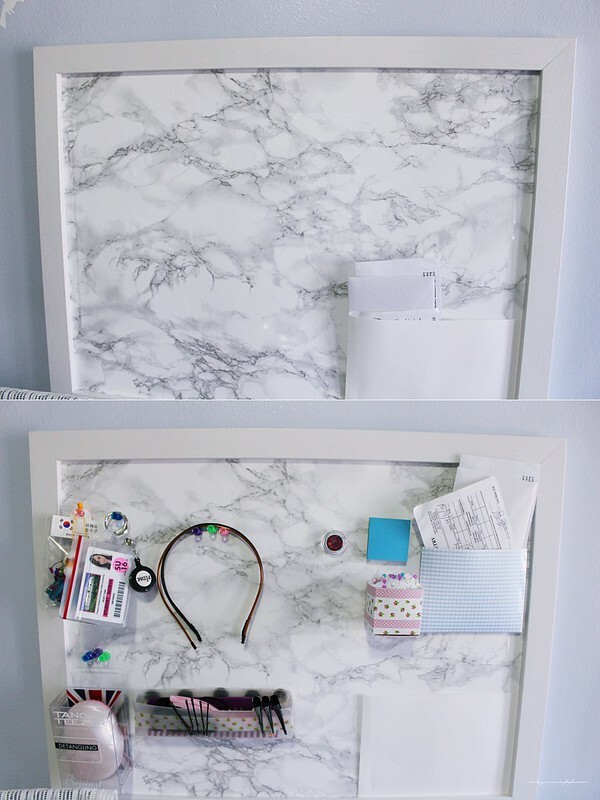 I use this board to hold random stuff such as hair ties and some times mail. The board I use was originally a frame in which I added a magnetic board behind a blue paper that started to wrinkle over time (the older post could be found here). I started with taking the board apart from the frame and traced the size onto the marble contact paper. 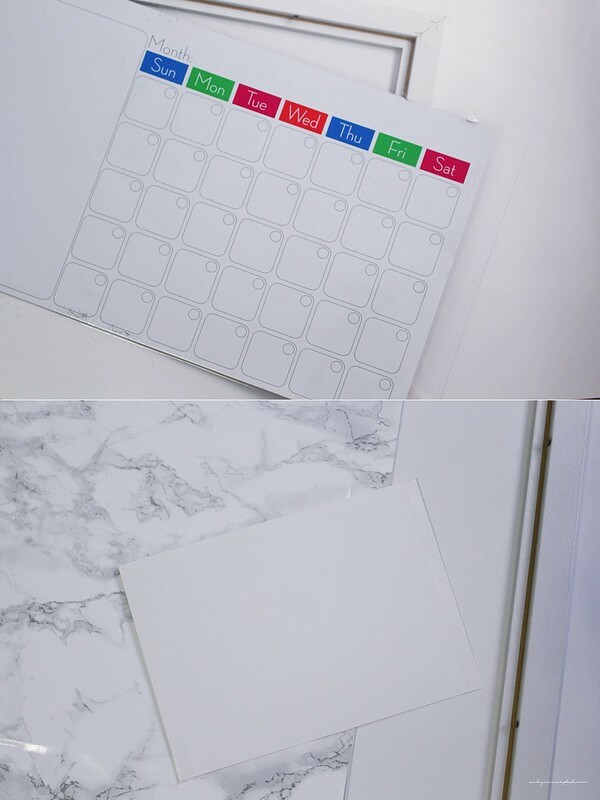 The magnetic board I have on the inside is a smaller piece that I tape onto the clear board. Then I simply stuck the contact paper onto the clear board with the magnetic board in between. Once I’m done, I folded a white piece of stock paper and taped it to one corner. Then I placed that board back into the frame and secured it onto the wall. All the magnets I had before could be placed back onto the board. There are a lot of similar makeup boards like this but I find that the makeup products are a bit heavy for the board. What other items should I marbleize? That would be really interesting as wallpaper. Ooooh so pretty! 😀 Hahaha what’s the next thing that’s going to get marble-lized (is that even a real word)?! totally digging marble backgrounds too! 😀 great diy! Thank you. Have a great week too!